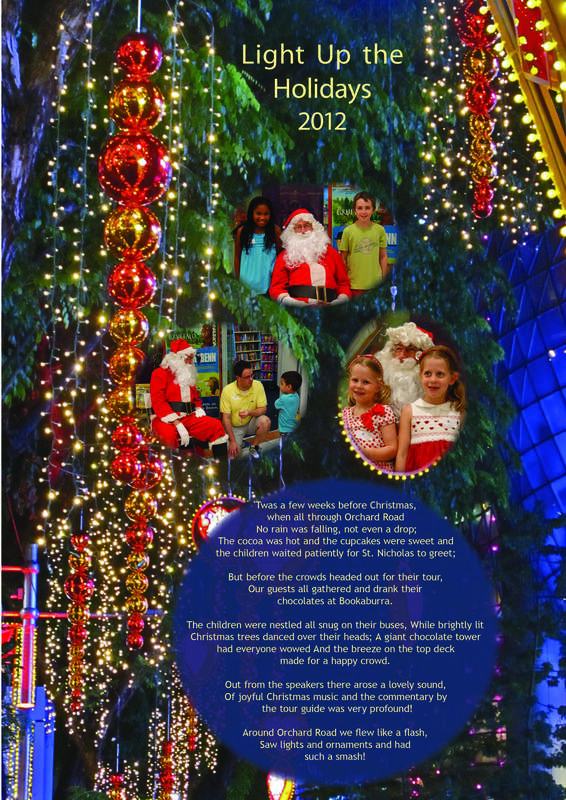 Get into the holiday spirit with a visit and a photo with Santa, followed by a trip down Orchard Road in an open top bus. 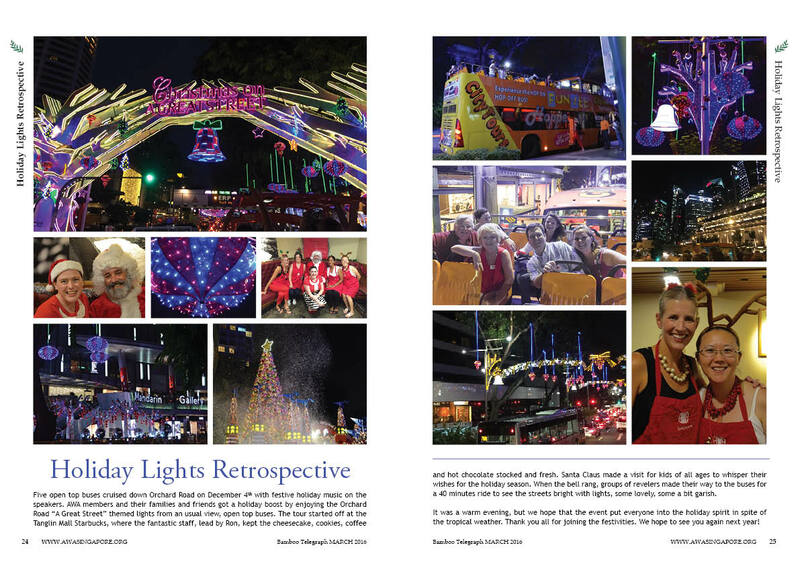 Every December, this annual event brings together families and friends to enjoy the holidays - Singapore style. Refreshments are served prior to boarding the bus and then fun and merriment ensues. We ride rain or shine, so plan accordingly. Children aged 2 and under may ride for free on your lap. Your ticket includes refreshments, a 40-minute tour, and all the fun you can handle. The last bus of the night is an adults-only bus. Alcohol is permitted and we will continue the party at the end of the ride. 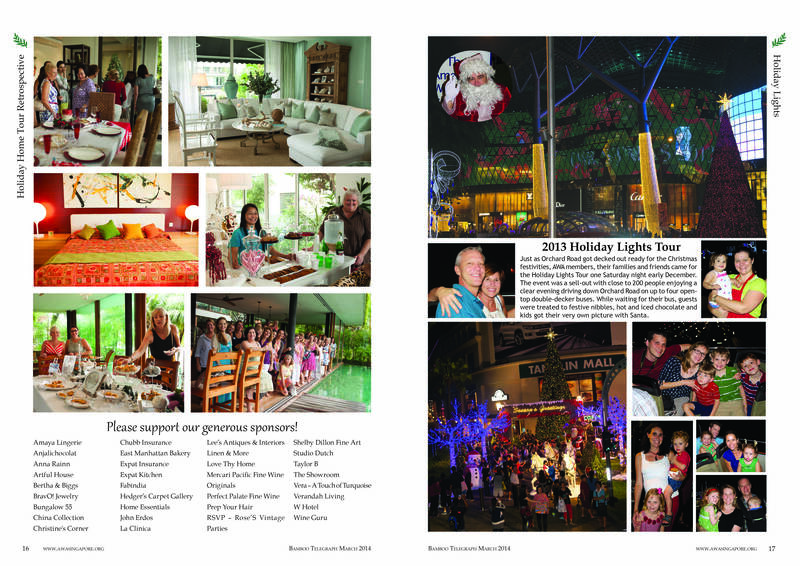 Please click on the following links to see pictures from previous Holiday Lights Tours.